Hebron (Arabic: الخليل al-Ḫalīl; Hebrew: חֶבְרוֹן Hevron, is located in a mountainous region, about 30 kilometres (19 miles) south of Jerusalem in the Southern West Bank. 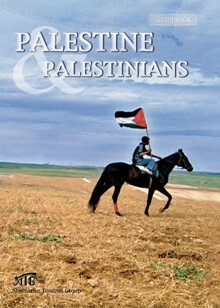 It has about 550,000 Palestinian residents and 500 Jewish settlers in and around the Old City. The city is divided into 2 zones, H1 under Palestinian management, and H2 under the control of settlers and the Israeli military. The city is holy for Jews and Muslims due to the shared veneration of Abraham's Tomb upon which today is a divided structure - half a synagog and half a mosque, with complex security arrangements for entrance. 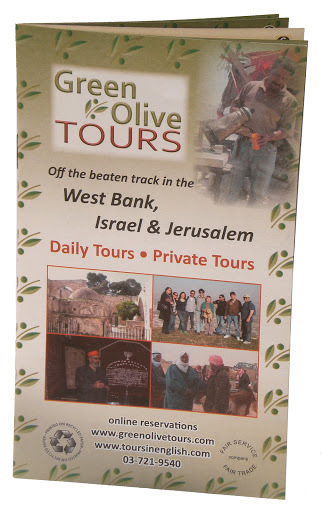 "So Abram went to live near the great trees of Mamre at Hebron, where he pitched his tents. There he built an altar to the LORD." Thereafter the city is mentioned numerous times in the Old Testament (Torah), and laid the foundation for Jewish religious claims to the city, notwithstanding the biblical narrative which relates that at the time of Abraham the city was under the control of the Hittites. Modern archeological evidence refutes this, claiming that the Hittite conquests did not extend that far south. Fast forward to the twenty-first century, and such controversies still rage. The modern-day Hebrews, the Israelis, not only claim hegemony over Hebron but maintain a military occupation of the city to protect a handful of settlers living in the midst of a Muslim-Palestinian population. Hebron is the main commercial center in the southern West Bank, with it's primary industry being the quarrying of limestone and marble from the surrounding hills. 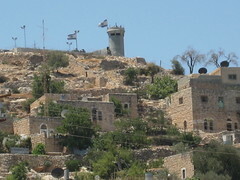 Most of the city is governed by the Palestinian Authority, with sections of the Old City under the control of the settlers and the Israeli military.